While you have been enjoying the summer heat at the beach the Brian Green Property Group New Zealand Rally Championship media team have been working away feverishly to bring you the latest news and gossip from the service park. Brian Green has confirmed he will return as the title sponsor for the championship again in 2019 and the whole rallying community owes Greenie a beer to say thanks. On top of his ongoing sponsorship Gull New Zealand, Dunlop New Zealand and Hella New Zealand are all returning for another season. Some additional championship sponsors will be announced in due course. We thank all of our sponsors for making this championship possible and ask readers to support those that support us. New Zealand has been tipped to host the FIA Asia Pacific Rally Championship finale in the coming years. The continental championship has undergone a massive facelift this year and will see individual regions stage rounds before a championship finale later in the year in China. That final is likely to move around from year to year with New Zealand to get a turn in the coming years – where it is based is yet to be determined. From the Service Park has acquired a picture (see below) of Regan Ross giving his strongest hint yet to his 2019 plans. Best we can figure out is that Ross intends to take part in the Safari Rally if this photo from Blair Bartels’ 30th birthday bash is accurate. His three-minute speech was absolute comedy gold but not quite appropriate for publication on this family-friendly column. 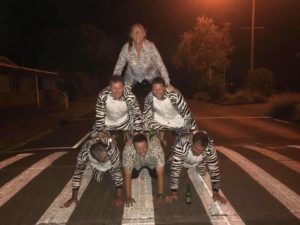 Ross head-lined a four-strong South Island contingent at Bartels’ knees-up – all dressed as zebras to honour the birthday boy’s now infamous zebra print shirt. Ross booked accommodation at nearby Orewa for the close-knit four but turned up to the motel to find just two double beds. Needless to say the foursome was a bit closer by the end of the weekend. This column can attest to Darren Galbraith’s snoring, which would have been fun for the other three. Continuing with news surrounding Ross – the entire New Zealand rally community is looking forward to seeing a renewed rivalry between he and fellow South Islander Marcus van Klink this season. The pair have a love-hate rivalry and will go head-to-head for outright two-wheel drive honours this year in what promises to be a thrilling battle. There will be other drivers right in the mix as well but the battle between the two larger than life personalities could be one of the most intriguing battles of the year. 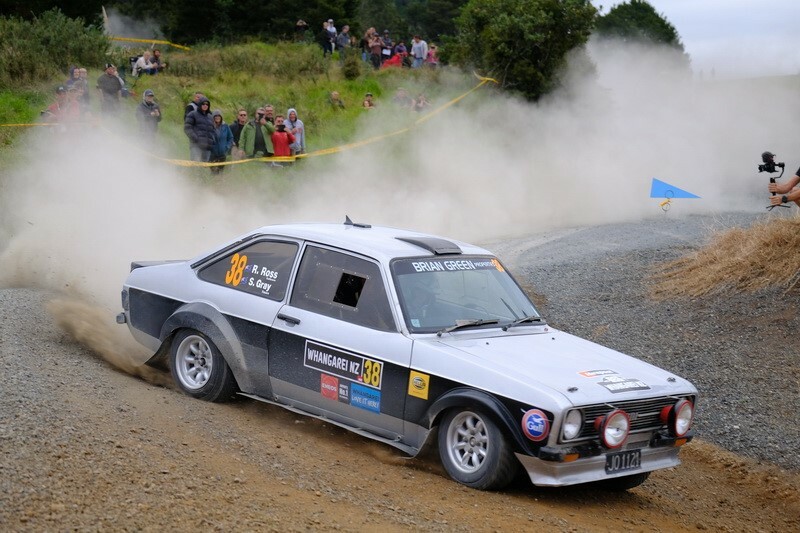 Some iconic New Zealand rallying roads could be about to make a long-awaited comeback to the national championship in 2019. A location for some of the great moments in our sport’s history have played out on these roads and one event is working hard with the respective governing bodies to gain access. Watch this space. Dylan Thomson is racing the clock to get his Subaru finished in time for the season opening Otago Rally in April but one thing that will be worth keeping an eye out for is the colour-scheme of his new car. Thomson and co-driver Amy Hudson will step up to open four-wheel drive category in 2019 and is promising to catch the eye with a “striking non-traditional Subaru” livery. What former title contender of a few years ago is strongly considering a return to the championship in 2019? He had been linked to a new generation car but is now thinking about running an older model car. He’d still be very relevant. Jared Hudson has impressed the rallying community with his ability as a co-driver and his confident manner despite his young age. The now-Year 11 student won Junior Sportsperson of the Year at Papanui High School for 2018 – a well-earned bit of recognition for a sensational 2018 season. Jack Hawkeswood will make the step up to class one open four-wheel drive in the 2019 Brian Green Property Group New Zealand Rally Championship. The young Hawkeswood’s Mazda has been upgraded over summer and he will start Rally Otago with the big boys.